Special post for a special customer! Sometimes I just have to break the mold and share something a little different! Today I am doing just that! 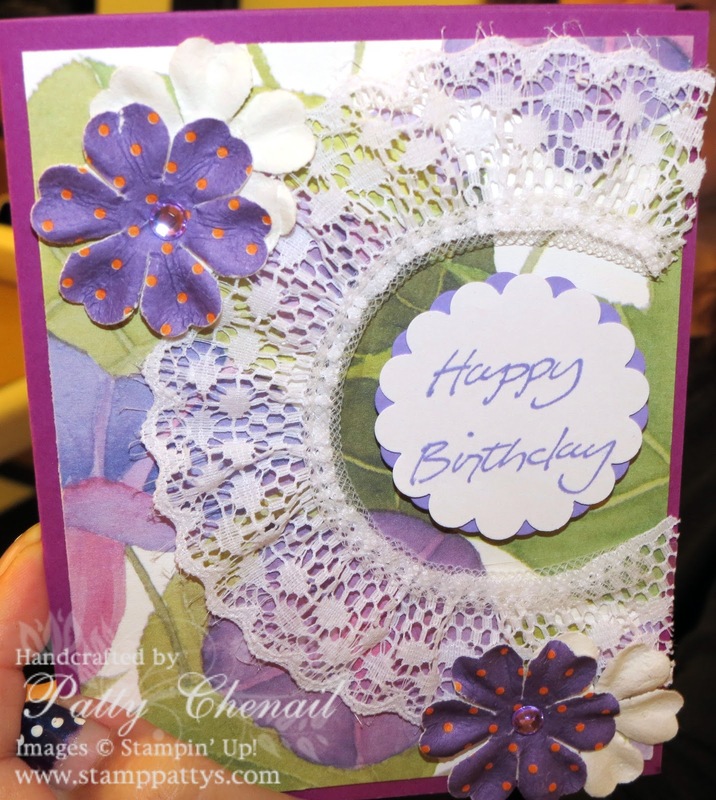 At one of my recent club gatherings, one of my customers brought a stack of cards that she had recently created. This fabulous lady creates lots of cards using lots of materials! Carolyn D. shared her projects with such pride and rightfully so! I just had to share one with you! She used some of the SU! retired cardstock and some other supplies that she had. She is fairly new to SU! and still gathering supplies. I loved how she used the lace to border her greeting!! Great job Carolyn! Thanks so much for sharing!